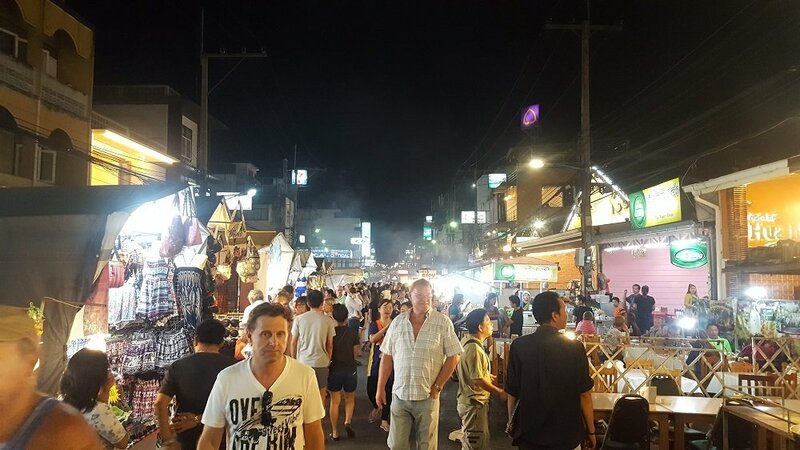 Hua Hin Night Market, is the liveliest place in Hua Hin from 18.00 until around midnight nearly every night of the year. 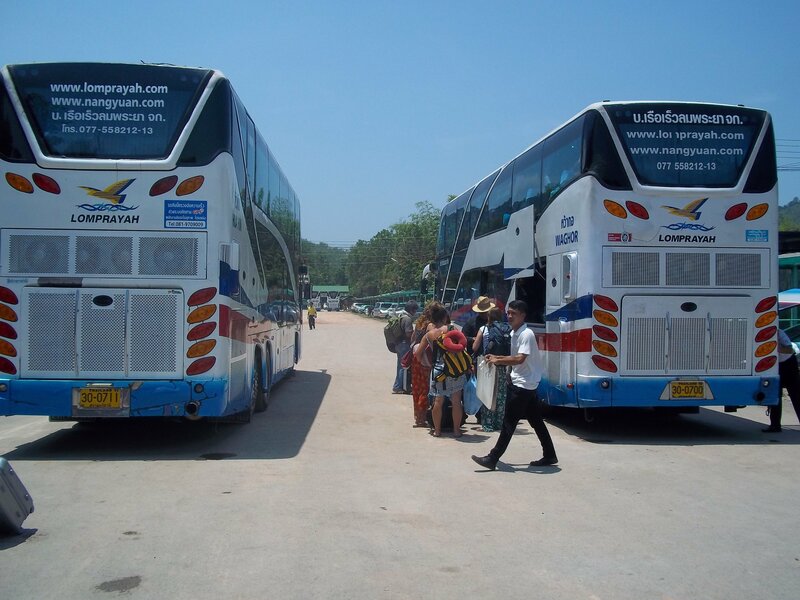 The market occupies a 190 metre stretch of the Dechanuchit Alley, some 550 metres walk from Hua Hin Train Station, and is is very popular with both local residents and foreign visitors ranking high in most Top 10 lists of Things to Do in Hua Hin. 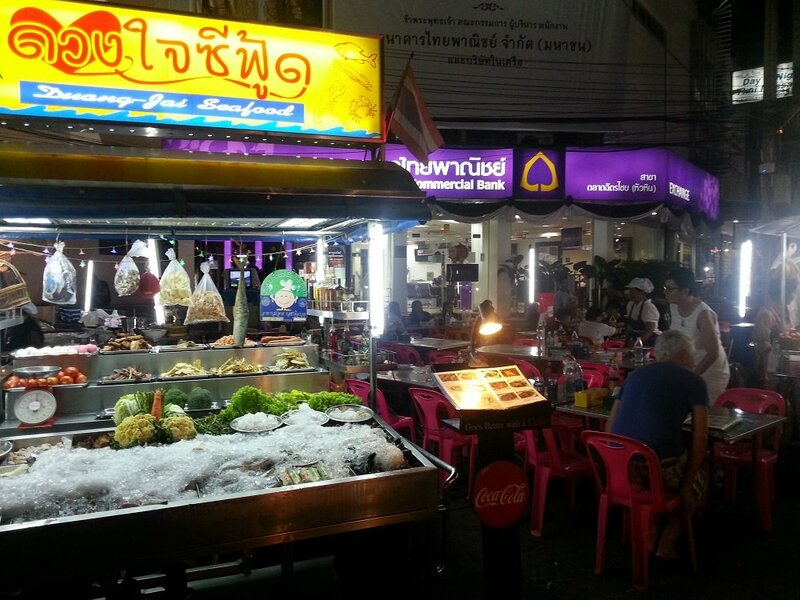 The reason for this is that Hua Hin Night Market is a great place to eat and drink on a small or medium sized budget. 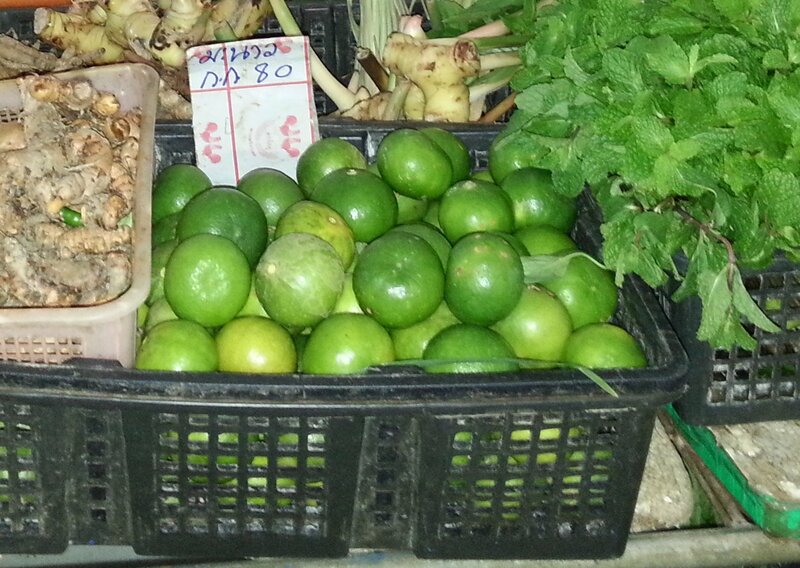 As any good South East Asian market should do, Hua Hin Night Market delivers great value for money. Hua Hin’s fame as a place to come and eat seafood is based on the popularity of the seafront seafood restaurants on the Nares Damri Road. 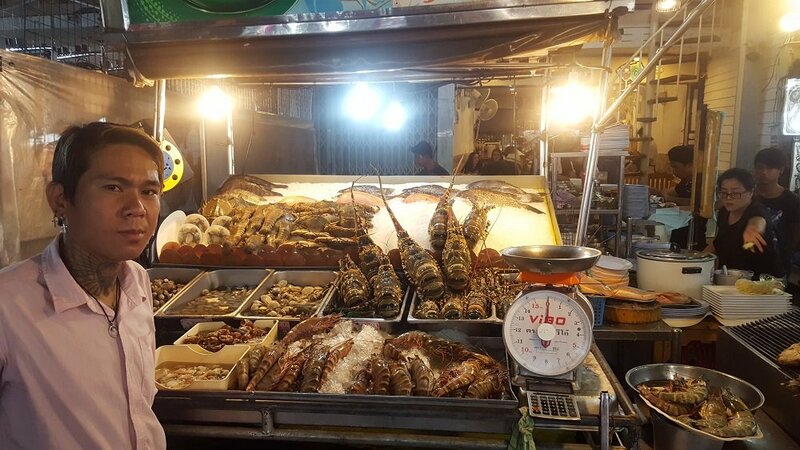 The picturesque seafront restaurants are built over old fishing piers and the quality of the seafood food is good enough to attract dinners from Bangkok on weekend breaks. At the Hua Hin Night Market the vendors make good use of Hua Hin’s reputation as a place to eat seafood by providing much the same quality of food as the more famous restaurants on the seafront but for a much lower cost. At the crossroads of the Sa Song Road and Dechanuchit Alley near the start of the market there is a cluster of food stalls with basic seating which is where the local residents tend to come to eat. These food stall are excellent value for money. As well as the usual range of very cheap Thai food they also serve more substantial meals of very cheap seafood. 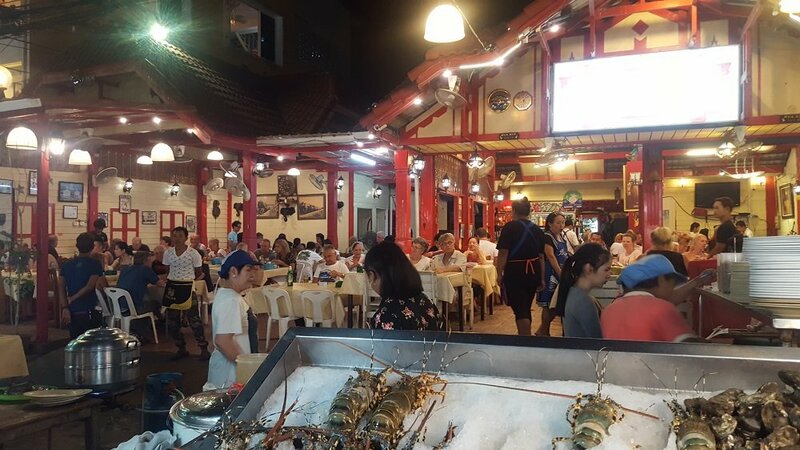 At one of these food stalls, Duang Jai Seafood, we had two large seafood dishes, rice, a vegetable dish, and several drinks all for 500 THB. The food came within 10 minutes and it tasted great. Further up the Dechanuchit Alley the food stalls are replaced by more formal restaurants with better presented seating and decor. These restaurants are more expensive than the food stalls by a factor of 20% to 50%. They sell many of the same dishes as the food stalls at a slightly higher cost but they also sell large portions of seafood on the grill and this is a lot more expensive, although still noticeably cheaper than the seafront restaurants on the Nares Damri Road where the well do Bangkok residents go to on the weekend. One of the most popular of the seafood restaurants in Hua Hin Night Market is the Rod Fai Restaurant which is decorated to look like Hua Hin Train Station. Expect to pay around 500 THB per person for a good meal at Rod Fai Restaurant, perhaps more if you order lobster. 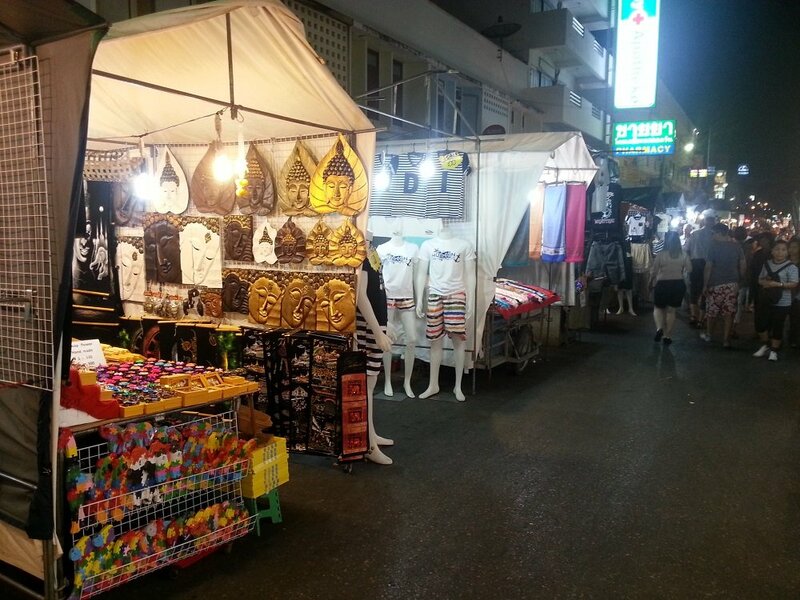 In amongst the stalls selling food, and places selling alcohol drinks, there are some clothes stalls and souvenir stalls selling Thai art and craft work. Some of what they sell here is overpriced rubbish. However, there are also some reasonably priced hand made items of a fairly good quality. 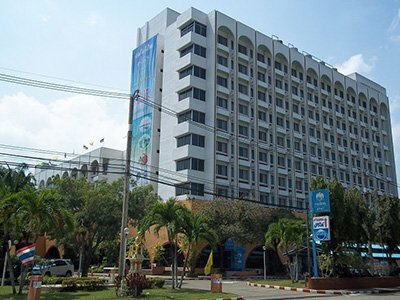 It is worth having a browse here to buy things to bring home with you ,and perhaps the best place in Hua Hin to go souvenir shopping for friends and family, and certainly most the fun. Shopping at night in South East Asia makes really good sense because it is too hot to wander around outside for long periods during the day.